The circus is in town! And no, we're not talking about the boisterous energy at the marine mammal center. 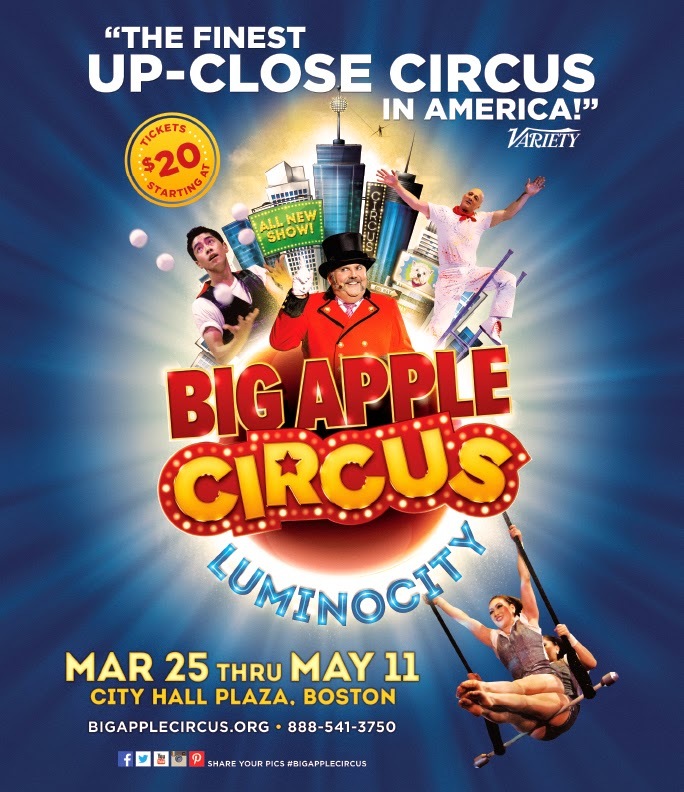 It's the Big Apple Circus and their latest show— LUMINOCITY. We're sharing a special offer to save 25-percent off select tickets to the show. Catch the high-spirits and pulse-racing thrills of the circus on City Hall Plaza in Boston. No seat is more than 50 feet from ringside! Watch rowdy pups perform amazing tricks, double trapeze artists soaring high above, a bashful clown, an irrepressible flimflam man and a juggler extraordinaire; teeter-board acrobats flying through the air, a cavalcade of magnificent steeds, and a couple of amazing wire-walkers suspended in mid-air. The show runs two hours, including one intermission. Save 25% off tickets to Big Apple Circus with promo code NEAQ14. Show runs now through May 11 at City Hall Plaza.